“What do I like about Mount Athos? The people, to begin with. There’s the landscape, of course, which is unique. And the smells. Like the smell of the refectory, which I remember from my first visit as a child. 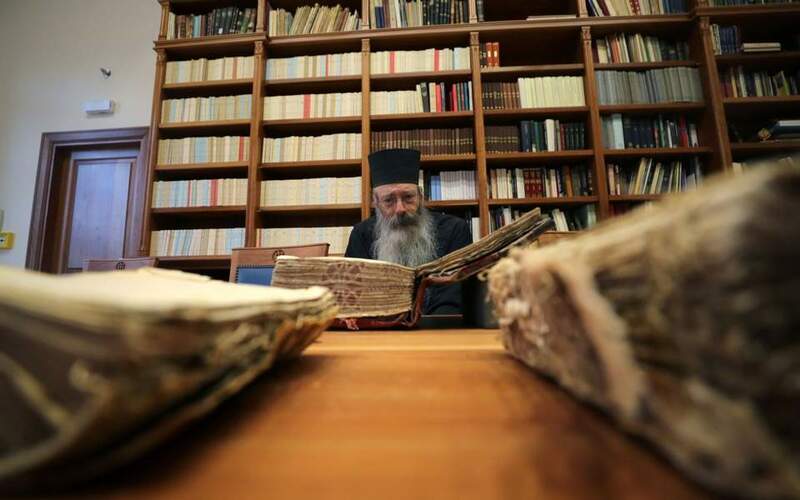 The formality also fascinates me, the way things are done, the way the monks enter the church, and how they eat all together,” says photographer Stratos Kalafatis, a regular visitor to the historic monastic community in northern Greece. Kalafatis found something different: the inspiration for an ambitious artistic project. 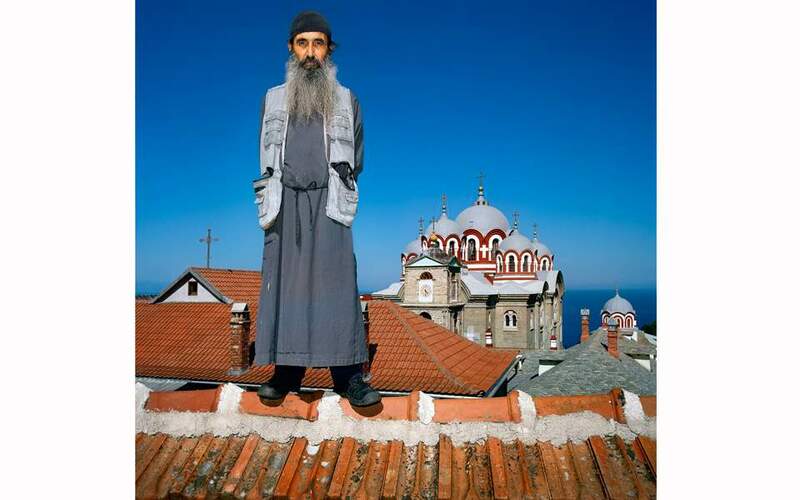 Starting in 2008, he spent five years photographing the place and its people for “Athos: The Colors of Faith,” which was presented at the time in the northern port city of Thessaloniki by the National Bank Educational Foundation and released as a coffee-table book by Agra. 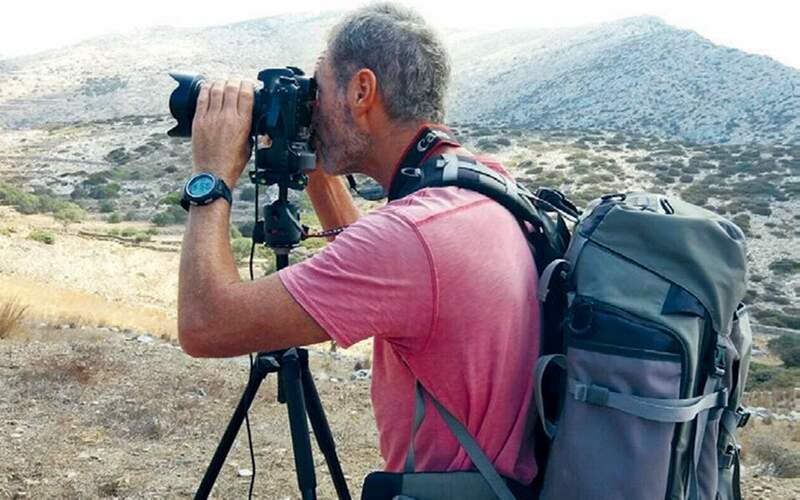 The photographer was drawn back again last year, spending two consecutive weeks on Mount Athos and capturing new images that have been included in a revised publication of the book, giving it more variety and a more complete feel. In this project, Kalafatis depicts monastic life on Athos through shadows, symbols, nature and faces. 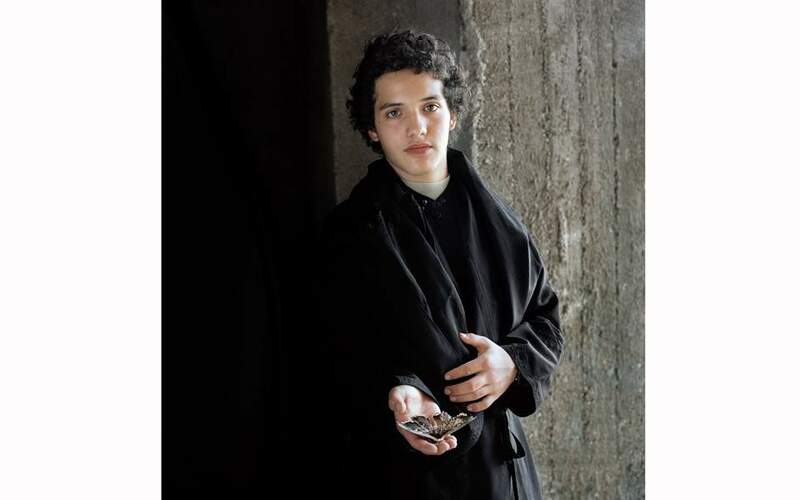 His portraits exude a strange sense of familiarity, whether they be of young students at the Athonite Academy, all unaffected sweetness, or the eldest of the monks whose faces are marked by the signs of an ascetic life. All were willing subjects and went along with the photographer’s guidelines as he staged the ideal photograph. “When I went back last year I saw some of my photographs taped to the walls of a few cells. I was also very moved to see the first paragraph of the book’s preface printed and displayed in an ossuary,” says Kalafatis. A show he organized on the project in Halkidiki last year was attended by 30,000 visitors, while the 16 shows to date of “Athos: The Colors of Faith” both in and outside Greece have drawn more than 200,000 in total. 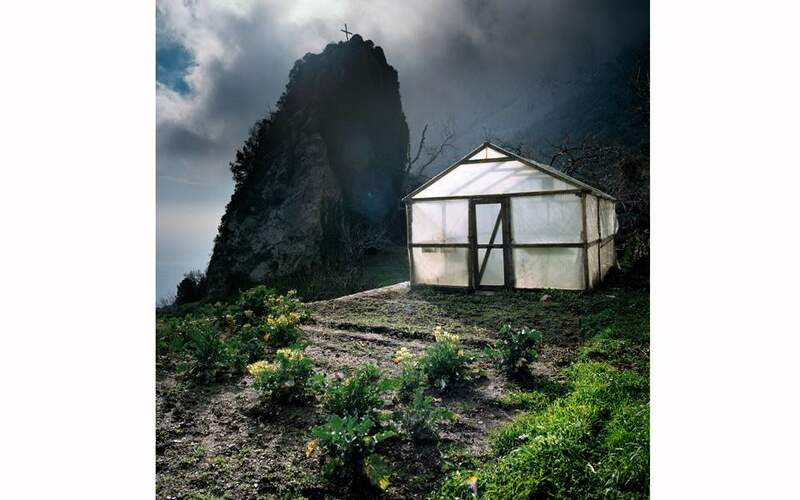 “It’s a subject that intrigues people and one that has been photographed by some great photographers in the past,” says Kalafatis, adding that he is a propagator of this tradition, showing the community, “the Mount Athos of the 21st century,” in a more modern way. 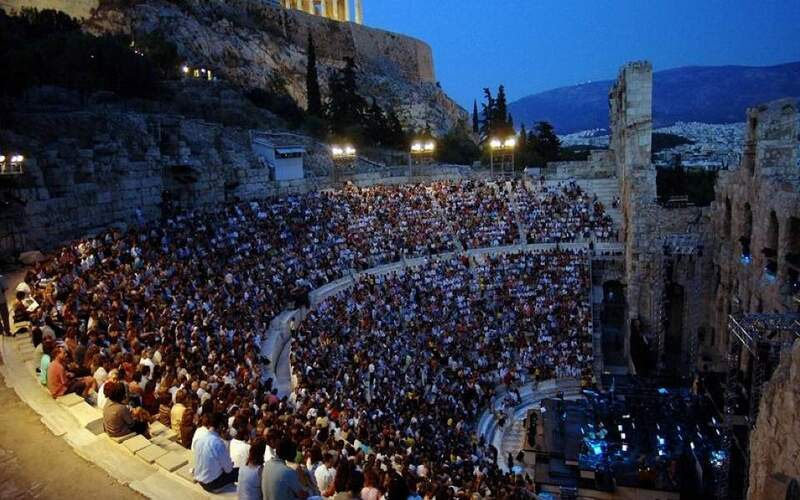 How much has it changed since his first visit in 1979, when he was a 13-year-old living in Kavala? “It was completely different back then,” says Kalafatis. “They had a huge drought. Most of the monasteries were in a state of decline in terms of infrastructure and most of the monks you met were elderly and stuck in a different age. Still, it had its charm. “On Mount Athos today, most of the monks are young and educated – and that is something very good – the monasteries have been repaired and restored, and there are proper streets so distances are covered much more easily. On the other hand, of course, the authenticity has been lost in places,” he adds. Kalafatis is currently in the process of wrapping up a new project on Philippi, an archaeological site in eastern Macedonia that was inducted into UNESCO’s list of World Heritage Sites in 2016. He has been taking photographs at the site for the past three years in an effort to link the past to the present. 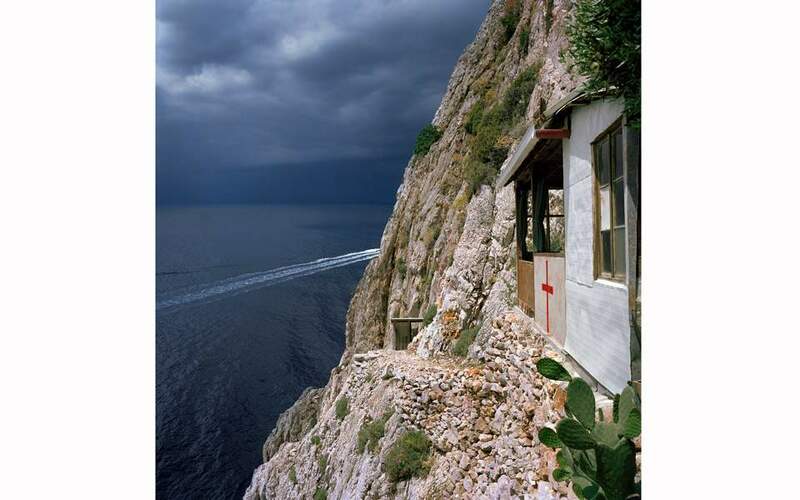 Last year, meanwhile, he published “Archipelagos” (also Agra), a beautiful coffee-table book of photographs of the Aegean that had been commissioned by the Venice Biennale. 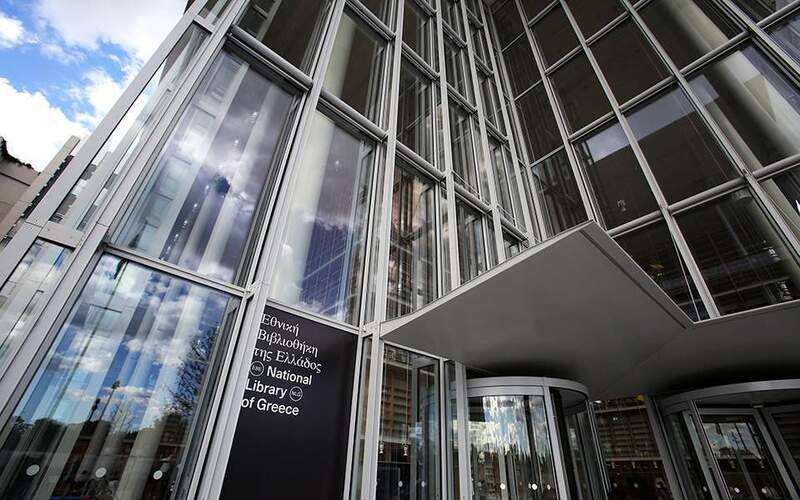 * This article first appeared in the magazine “K,” Kathimerini’s Sunday supplement.